Research papers, guidelines, evaluation, population and surveillance data, policy, health needs assessments, activity data, feedback from stakeholders, patients, carers and the public. This Guide supports commissioners to access evidence from range of sources but primarily focuses on evidence from research. Commissioners face similar challenges to clinicians in applying evidence, so it is appropriate to apply principles from Evidence Based Medicine (EBM) into the commissioning setting. But there is a key difference: commissioners are interested in decisions relating to large numbers of the population (eg a service for patients with heart failure) whereas clinicians are working with individual cases. In research (and in Evidence Based Medicine), there’s a recognised model that can help you consider the quality and reliability of evidence. 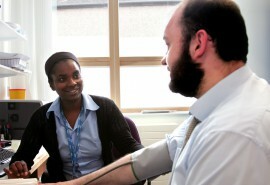 The Centre for Evidence-Based Medicine (CEBM) at Oxford University has more details – go to the CEBM website. This pyramid (provided by Multiple Sclerosis Trust) simply describes a hierarchy, where systematic reviews are seen as the most reliable form of evidence. In commissioning it is rare that a systematic review or randomised controlled trial exists to support you in your decision making. These gaps in the evidence base need to be highlighted and shared with academic institutions and other organisations involved in evidence (eg the NIHR) so they can be addressed. Currently in commissioning, evidence from a range of sources, reflected in the lower tiers of the hierarchy, will be more commonly available. When looking at types of evidence you should aim for those that are as high up the pyramid as possible as these are considered to be of greater quality.